Anonymous, «Armerías de España», 124 double pages, title in the 9 page, provenance Duke of Osuna and Infantado, 1800. Pages 1 through 8 are blank. On page 9, title, the letter A begins and surnames Abarca, Abendaño, Abeo, Ablitas and Abrego in large handwritten and the blazon in small handwritten (except for the end of the book on page 123, the unknown author seems to write more about surnames than about lineages). On page 10, the surnames with the letter A continue and their blazon both in small handwritten. On page 23, the letter B begins, its surnames and their blazons, for example, the Barrasas, in the page 25, «Or, six Lions proper, combatant». 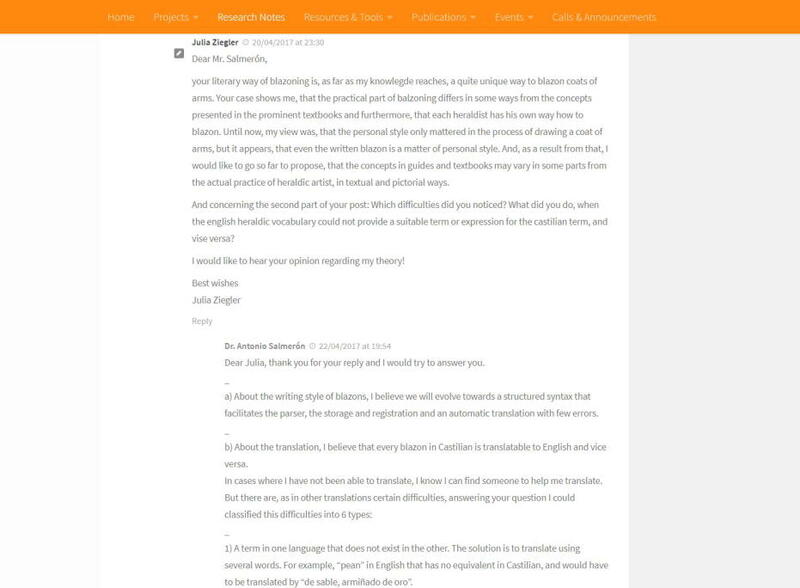 On page 30, the letter C begins, it is followed by the letter Z on page 42, 29 surnames with Z was written before the letter D and Cocas and Cuacas, with the letter C, are inserted inside the letter Z. It follows in alphabetical order of surnames from page 46, where the letter D begins, to page 97 with the letter S, including in the S the surname Sánchez on page 99, as a lineage will be included at the end of the book, and it follows with the letter S until the page 104. On page 109 jump from the letter T to the letter V, with the surnames Vacas, Vadillos,... and skipping the letter U. On page 119, it returns from letter V to U, in an unordered manner and without including the title with the capital letter U. On page 120, begins the letter X and also the letter Y. On page 122, the letter Z and only 3 additional surnames with Z, recall that the majority of the surnames with Z were included after the letter C.
On page 123 he returns to the surname Sánchez by testimony of Pedro de Soto owner of the books of Armory of Spain of Andreas Heredia, King of Arms, and finally the unknown author copies the text for the surname Sánchez, those who were «hijosdalgos, en Cangas de Gobadonga» ~ Covadonga of Asturias and ends with a poem of 8 verses. Beginning on page 124 are blank. 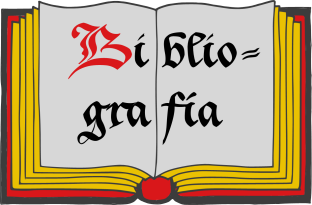 Classification: Manuscript, Armorial roll and Castilian language. Detail of this Armorial in the National Library of Spain. Bibliographic record of the National Library of Spain. Scanned Armorial in the National Library of Spain. William Cecil Wade, «The symbolisms of heraldry or A treatise on the meanings and derivations of armorial bearings», 186 pages, 95 black and white pictures, Robert Holmes Collection, published by George Redway, London, 1898. The origin of armorial bearings; page 11. 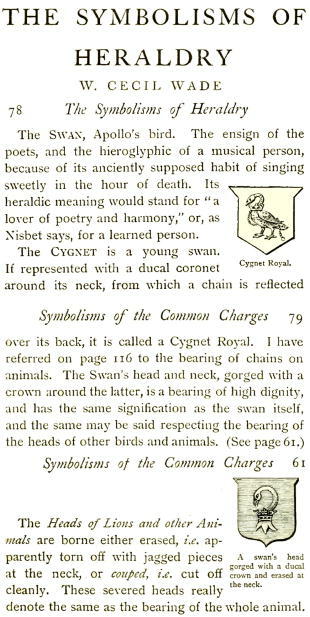 The symbolic side of heraldry; page 13. Heraldic colours and metals; page 35. The furs of heraldry; page 38. The meaning of heraldic lines; page 40. The symbolisms of the ordinaries; page 43. The division lines of the shield; page 55. The colours of the common charges not symbolical, chapter with 2 paragraphs only; page 57. Symbolisms of the common charges; page 59. Crowns, mitres, episcopal hats, etc. ; page 138. Examples of symbolisms of colours and armorial bearings; page 149. Cadency and differencing; page 154. Classification: Symbolism and English language. The author is Wade, William Cecil. Baron of Valdeolivos Emblematic Chair, of the Fernando el Católico Institution, of the Centre of Scientific Research (C. S. I. C.) y of the Excelentísima Diputación de Zaragoza, «Emblemata», Volume 8th, Emblemata Aragonesa de Emblemática Magazine (E. R. A. E.), 454 pages, 58 pictures, ISSN 1137-1056, Legal deposit Z.3.937 1996, Printed by the Cooperativa de Artes Gráficas Librería General, Zaragoza, 2002. My heraldic art is a mixed of techniques that combine the manual realization with the digital process. The reason is that, for each specific creative activity, I try to choose the technique that best suits the goal I intend to achieve. The natural motives are especially suitable to drawing freehand. I go through this job straight with black ink, without previous pencil schemes, with as long as possible ink traces, without lifting the pen, using 0.1 mm thin feathers, making scrolls automatically, without passing twice through the same point with the same movement. 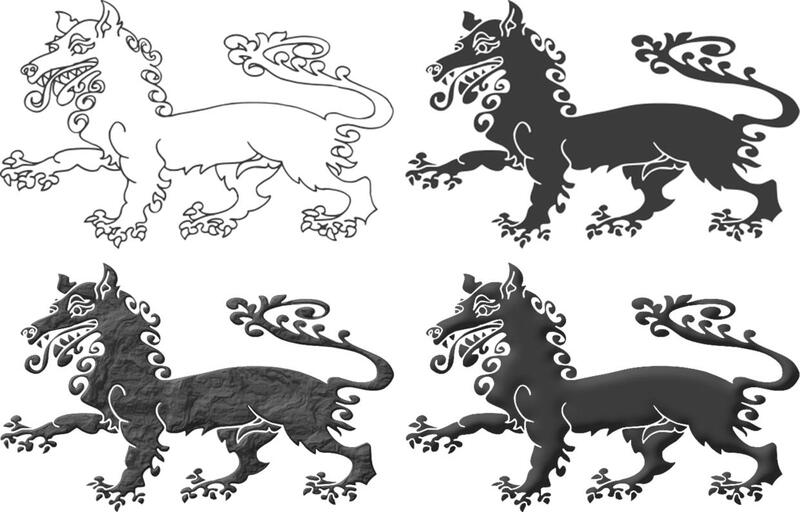 This technique comes from the automatic tracing as referred to in the third stage of the article entitled pictorial evolution and influences. In figures with an eye I always by it and then follow by the right ear, the hair of the head, left ear, neck, back, tail, circulating at the maximum possible speed in the clockwise direction, skirting the figure to the left front leg, where I stop. 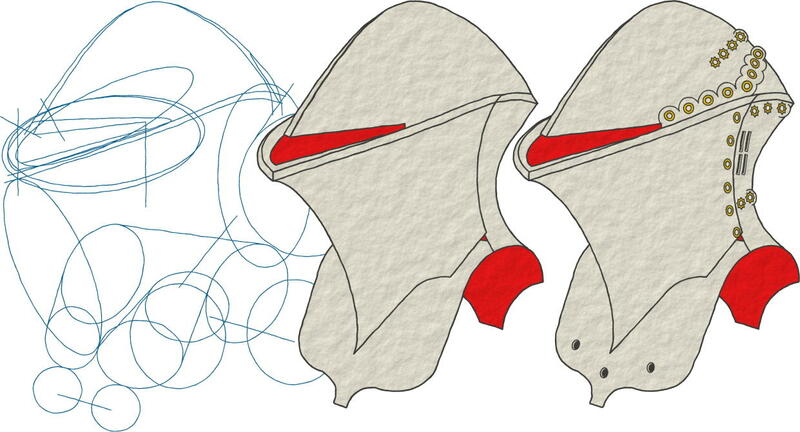 Then, I do return to the right ear, down to the nose, mouth, tongue, chin, the lower part of the neck, circulating at the maximum possible speed counterclockwise, bordering the figure until the left front leg, where I stopped in the first round. This tracing technique has the advantage of generating long lines, which seem to circulate freely, but it has the disadvantage of admitting neither mistakes nor retracings. In case of errors, the suitable choice is to finish the figure, to see the final result and be able to detect possible points of special difficulty towards the end of the tracing and right after to trace the whole figure again in a blank sheet, using the previous one as visual support. The reiterated result is to have to follow this process several times up to reaching a satisfactory level of execution. As a curiosity, I've noticed that the 1st figure often contains errors of ink path, the best is usually the 2nd and in some cases the 3rd, but from the 4th on, although there is no longer errors, the result is often more baroque. For the tracing of some figures, especially geometric, I use classic technical drawing skills. In this way vair, vairy, divisions, geometric ordinaries, bordures, checkys, etc. are calculated and outlined technically. In some cases figures that are delineated technically are also hand-touched in order to compare techniques and be able to select the most suitable technique for the ongoing coat of arms. In order to tincture field, ordinaries and charges I always start with plain colours and metals. In fact all my shields always have a version in plain colours. Then I build the volumes by means of lightings and shadows and applying appropriate finishings, by adding and removing hues and texturing surfaces. In some cases I do this process on the whole shield, in other, more laborious way, each field, ordinaries and charge is treated separately. This technique of working on flat base colours for later lighting and texturing follows my previous graphic work on color coated paper, which are described in the first stage of the article entitled pictorial evolution and influences. 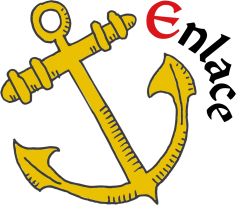 Represent them outlined in sable with its original layout. Let the tincture of the shield's field give them their final delineation. I perform the workflow mainly over sheets size DIN A1, in vertical orientation, 84,1 cm x 59.4 cm, attaching to drawings annotations, metadata, samples of colour, etc. I make and archive these DIN A1 forms sequentially as I go through the steps described in the section entitled heraldic creation methodology. At the end of the work, all of these DIN A1 forms together, make up what could be called a «making-of» of the coat of arms, that is, the history of their creation process. 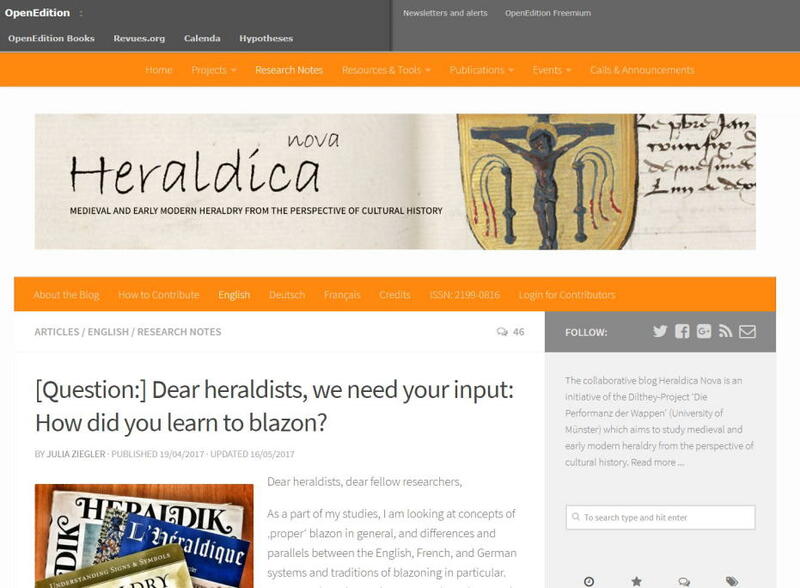 The collaborative blog Heraldica Nova is an initiative of the Dilthey-Project «The Performance of Coats of Arms» of the University of Münster which aims to study medieval and early modern heraldry from the perspective of cultural history. It was founded in 2013 by Torsten Hiltmann and it has been funded by the Volkswagen Foundation and Fritz Thyssen Foundation’s initiative «Focus on the Humanities». 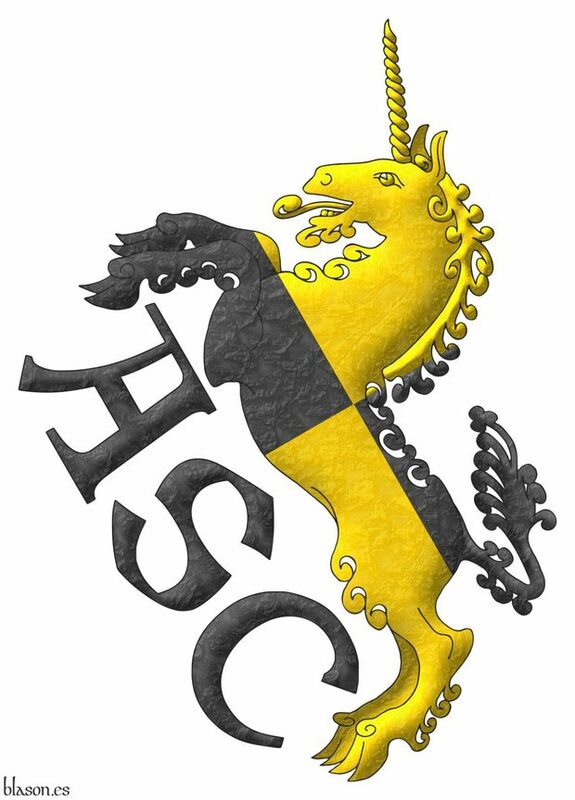 Julia Ziegler, Dear heraldists: How did you learn to blazon?. 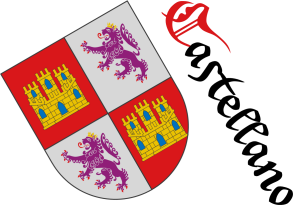 Blazons, coats of arms or other heraldic objects shown on Blason.es, or any of its associated heraldry domains, belong to their respective owners, which are always identified on this site together with theses blazons or coat of arms or other heraldic objects. 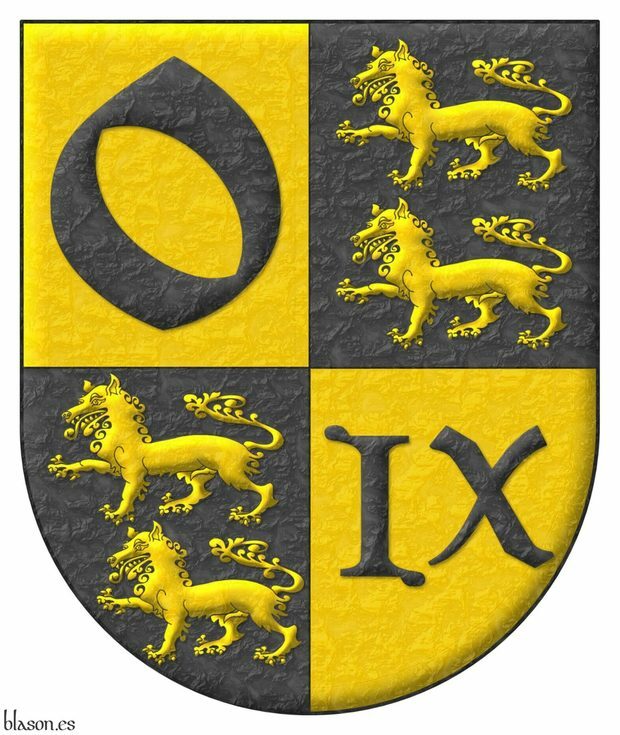 But the copyright and the intellectual property of the creation and/or the artistic rendering of these blazons, coats of arms and other heraldic objects belong to me for being the heraldic artist whose specific terms can be agreed with the person who has commissioned the heraldic service. Only theses owner or their legal heirs could give you their authorization regarding the copy, use, reproduction, transformation, etc. of these blazons, coats of arms, or heraldic objects. Sigue por: Salmerón Cabañas, A.; 2014b. Disclaimer, Armorial roll, Artist, Bibliography, Heraldry and heralds, Link, Legal notice, Castilian language, English language, Manuscript, Magazine, Century XIX, Century XVIII, Century XXI, Symbolism and Index.